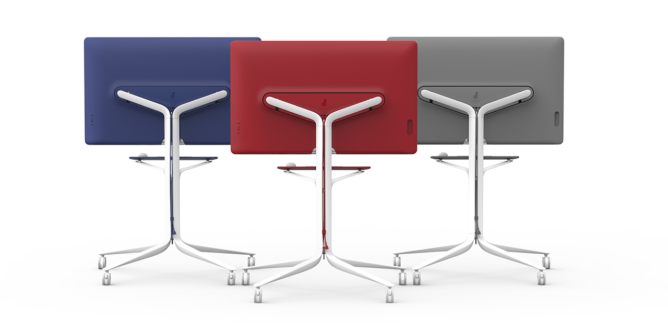 Jamboard was tested at Dow Jones, Whirlpool, and Pinterest. This allowed the team behind it to get great feedback before its launch, which included how the board made them collaborate more efficiently. A Jamboard app for Android and iOS will allow customers to use their tablets as a smaller Jamboard, and their smartphones as companion devices. 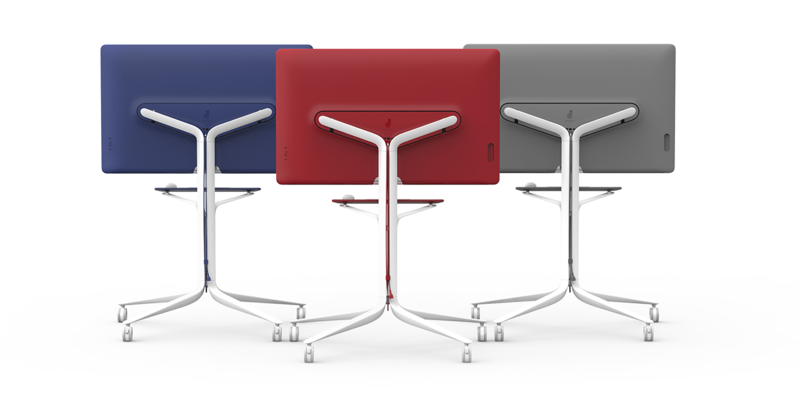 The final version of the Jamboard sports a 55" 4K display and the Nvidia Jetson TX1 chip for quick touchscreen response. It comes in three colors: cobalt blue, carmine red, and graphite grey. Google is teaming up with BenQ to handle sales and support. For your five grand, you'll get the Jamboard itself, two styluses, an eraser, and a wall mount. The handy rolling stand that you see in the pictures above isn't included, however, and will run you another $1,349. You have to pay the annual $600 management and support fee. And on top of that, you'll need a G Suite plan to use it. This thing ain't cheap. However, if you purchase before September 30th, you'll get a bit of a break. The rolling stand will be discounted to $1,199, and the annual fee will be halved to $300. 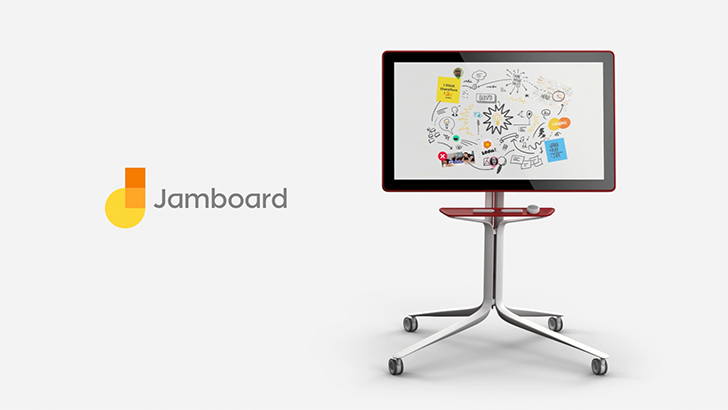 Jamboard is available in the US today, will be in the UK and Canada in summer, and more countries as time goes on. To buy one, check out google.com/jamboard.